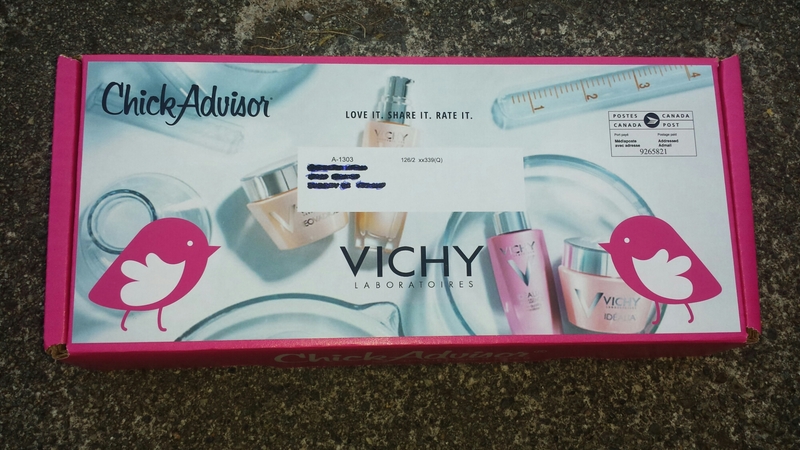 I was recently selected to take part in the Vichy Skincare Super Panel hosted by the ChickAdvisor Review Club. 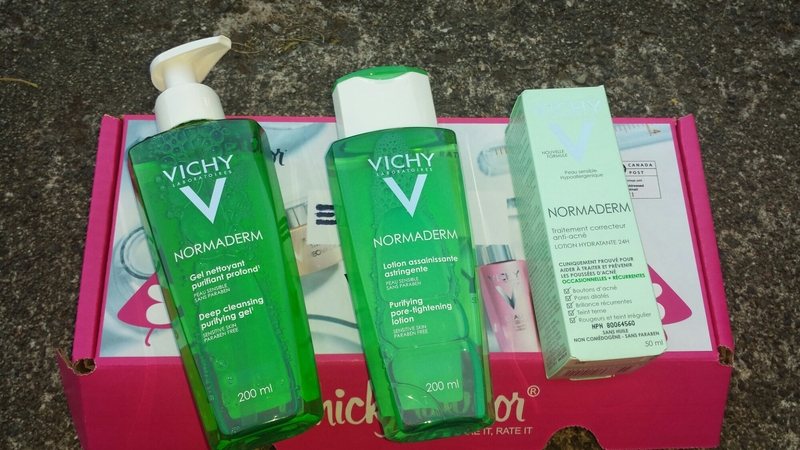 I was super excited to try these amazing products! The box itself was so pretty this time! 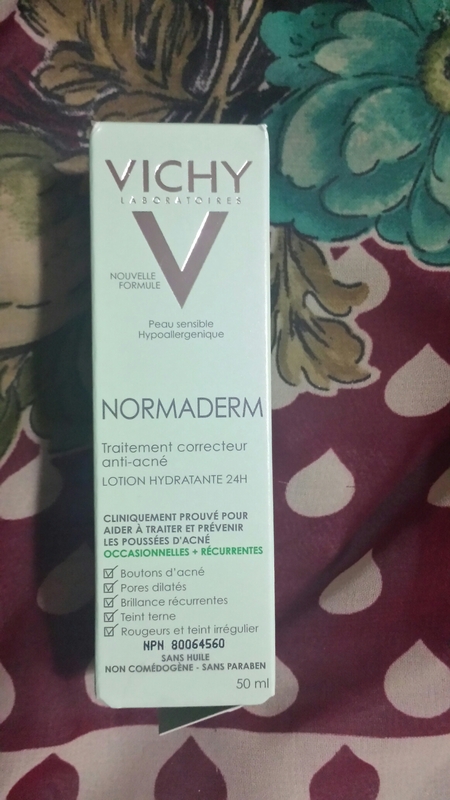 I was given the Vichy Normaderm line to combat acne, pimples as well as to fade away blemishes. This cleanser smells amazing! My skin felt clean and fresh after using it. It cleanses deeply without stripping moisture from my face. I did not experience any dryness or irritation. It lathers nicely and does a great job of removing makeup too. This toner also smells nice. The smell is not overwhelming and fades away after application. 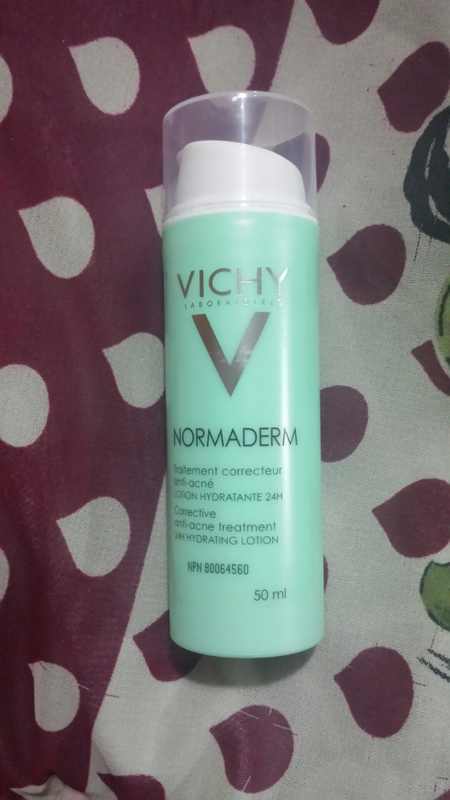 Again I did not experience any dryness, burning or irritation with this product. My skin felt soft and refreshed after using this. 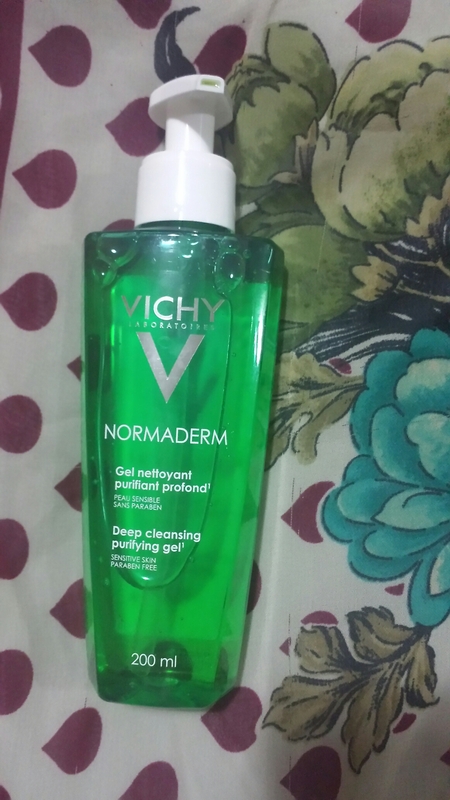 It seems very effective in cleaning my pores and keeping the oil production under control. This treatment is perfect for my oily, acne prone skin. It does not feel oily or greasy upon application and absorbs quickly. A little goes a long way. My skin feels smooth and matte. Completely shine free. 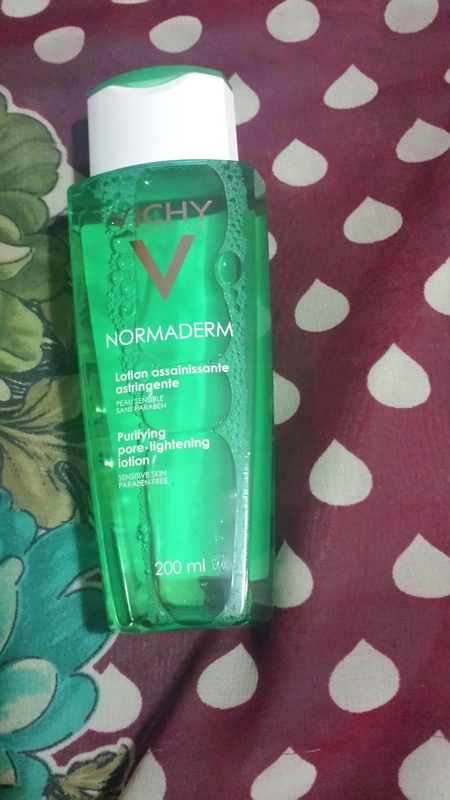 It also has a light refreshing scent and has a gel like texture. It works well as a gentle moisturizer on my skin as well. I like the packaging with the pump. The product does not get wasted nor does it get contaminated.